I was sent a set of the Carlito C. Catepillars MathHouse Card Game to review. As I am typing this up right now, my 13 and 6 year olds are sitting at the table playing the game! I can hear the excitement in both of their voices as Hope (6) understands the concept and even Keri (13) sees that Hope is getting it! It is kind of nice that they are getting along and I look forward to seeing and encouraging them to play with these cards more often!! 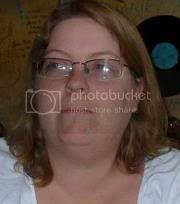 I just overheard Hope say "I'm too smart for you!!" This gets 2 thumbs up from us!! Most parents know the importance of math but many are unsure of how they can help their young children learn the fundamentals of math. There are so many questions. "How early should I start? What does my child need to learn? What concepts are most important? What do I do if my child has more trouble than other kids their age?" Often times the answers to these questions are not clear or consistent. The c3pla Sensory Math Teaching System was created by Domenico Marcario, M.S., a retired math teacher and loving grandfather, to answer those questions. This system utilizes the natural way children learn to teach them math skills. 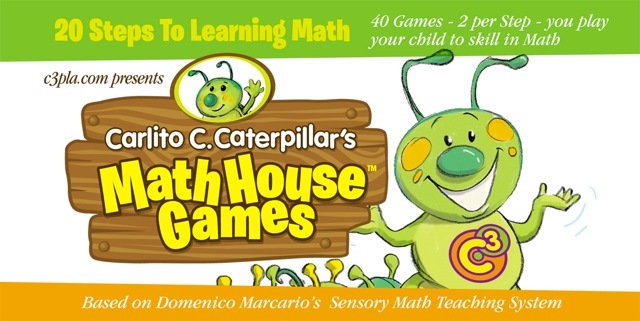 We have built the Carlito C. Caterpiller's Math House GamesTM from this system and are excited to offer you a chance to receive a copy of the Games Pack to review and a copy to offer as a gift to one of your readers. The Game Pack is presented in 3 stages, with a total of 20 steps and 2 games in each step covering the math skills of quantity, numeration, and operations. GIVEAWAY!!! I have 1 copy of this Card Set to giveaway!! I follow you on GFC as WinneratLife.